The P1 is ready to start shattering records. Last week we spent some time with Batman’s supercar: the Lamborghini Veneno Spyder. Today we are going to get to know Lt. Commander Data’s ride: the incredibly advanced McLaren P1. It has finally hit the track and come back with some truly startling numbers. We knew that the McLaren P1 would be fast; after all, it is built in a factory that really should be assembling spaceships by the most humorless, grim-faced engineers known to man. What we didn’t know is that the P1 would be capable of doing 0-62 mph in 2.8 seconds. Even more impressively it’s capable of 0-124 in 6.8 seconds. And best of all it’ll also do 0-186 in 16.5 seconds. A standing quarter-mile is done in 9.8 seconds – faster than it took me to think of and then type this sentence. To get a sense of how truly staggering this is, a very fast car like the Ferrari 458 Italia manages 0-62 in 3.1, 0-124 in 9.2 seconds, and 0-180 mph in 32.4 seconds – or nearly double the McLaren’s time. Simply put, the McLaren P1 is one of the fastest accelerating cars in the world. 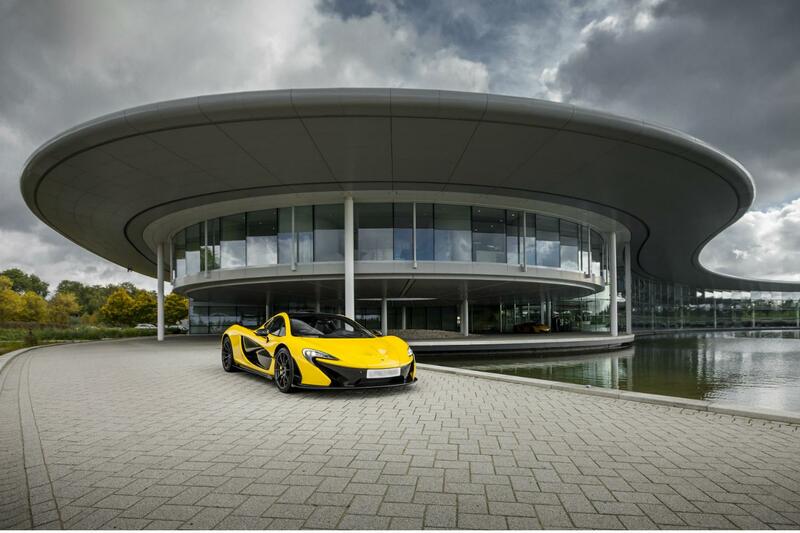 The first P1 to be delivered is going to make someone very happy. It will also stop faster than just about anything else out there. The P1 can manage to come from 62 mph to a screeching halt in just less than 100 feet. McLaren says this is about a third what it would take the average car; I wager that’s about twice the g load the average human eyeball can withstand before it pops out. To top all those performance figures off, it even achieves 34 mpg. All this mad performance will set you back a bit: $1.15 million to be precise. Now that might seem like a lot. After all, you could buy a couple of houses with that and still have enough left over for a Porsche 911. But considering what lunatics the McLaren engineers are, it might just be a bargain. The McLaren P1 is basically a big carbon fiber computer with a twin-turbo V8 and electric motor bolted to it. The assembly process is similarly insane. The trim assembly alone (the trim for god’s sake!) is a ten-stage process. The seals in the car are checked by dousing the finished car in over 4,000 gallons of extremely fancy de-ionized water. All this means that each P1 takes 82 people 17 days to produce. Consider that these technicians were probably head-hunted away from creating black-holes and discovering Higgs-Bosons at the CERN particle accelerator, that price starts looking pretty reasonable.